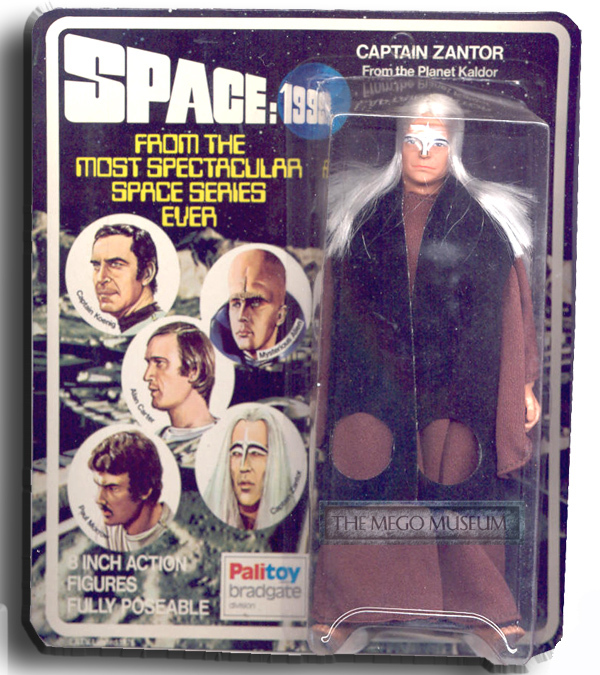 Captain Zantor Peace loving leader from the Planet Kalador, Captain Zantor appeared in the Space:1999 episode “Earthbound” one of the finest episodes produced for the series. 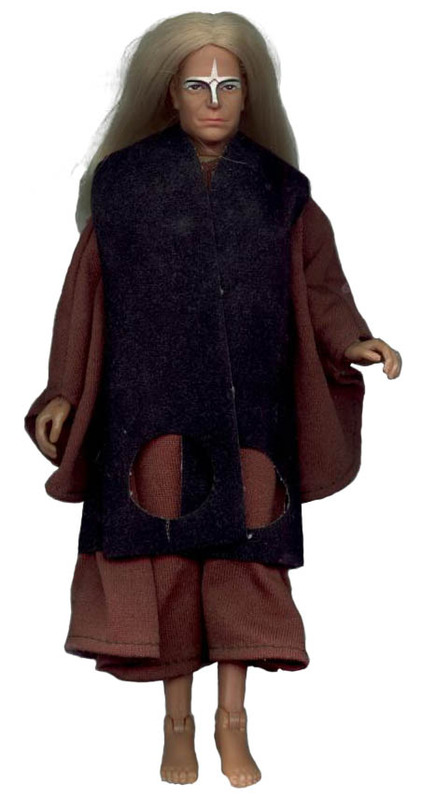 The Mego uniform is a very close likeness, he comes barefoot but I am sure he had shoes in the episode. Variations of Zantor exist, one has light blonde hair while the other has the correct white hair. Neither variation is more valuable than the other. 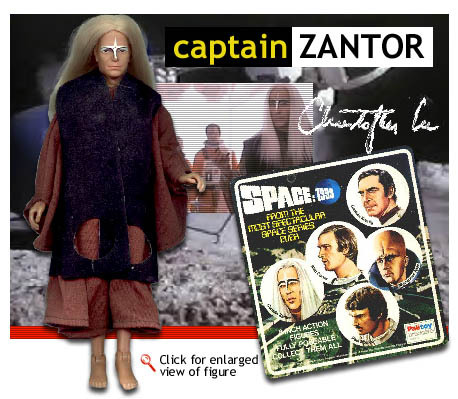 As you can see by the above carded Captain Zantor he is a white haired version while the loose figure is a blonde. Actor Christopher Lee is not really known for playing peaceniks like Zantor, he is best known for his work as Dracula in the Hammer series of movies. 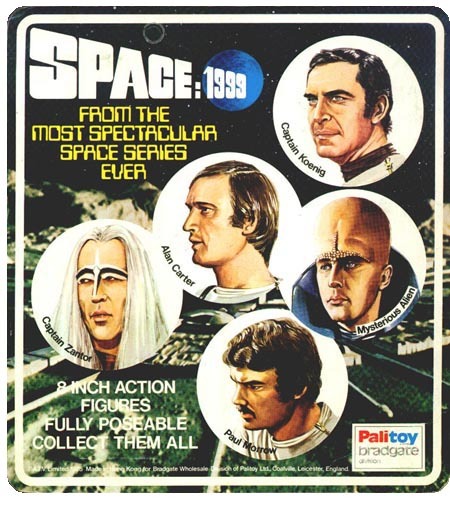 He is currently working on the new Star Wars film, so chances are Christopher Lee figures will be available again but Mego got there first. Zantor’s robe has been reproduced by CTVT. 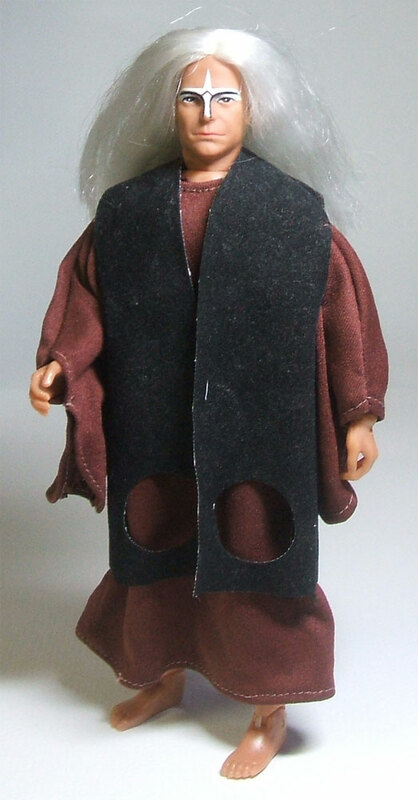 The repro robe is a darker brown and made just a touch longer and wider than the original. 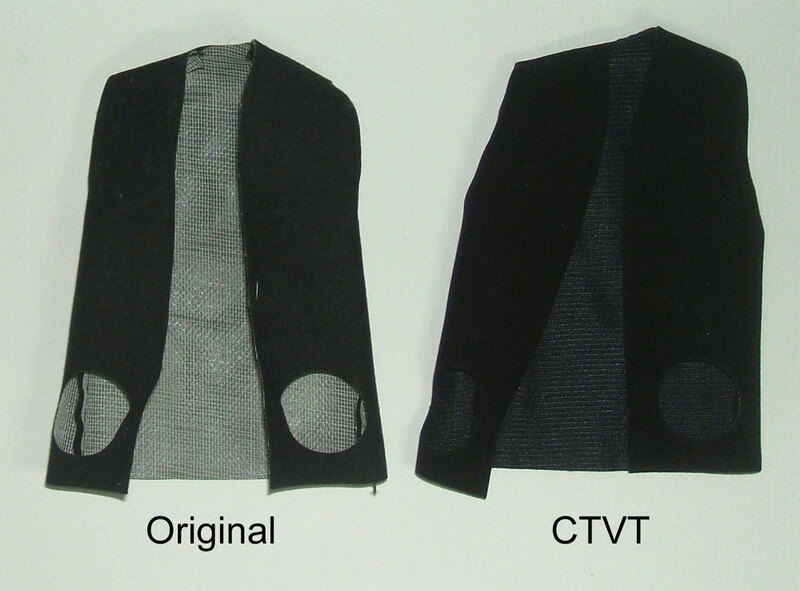 CTVT also added a turtleneck type collar where the original has none. The repro is unmarked. CTVT has reproduced Zantor’s vest. Overall it looks really accurate is design and size. The material on the repro is a bit heavier and softer. The original is a kind of stiff material. The biggest telltale is the inside of the vest. The mesh on the original is white, while the reproduction is black on the inside. The repro is unmarked. Zantor’s head features two variants, white haired version and blonde haired version (not pictured). Zantor’s head has been factory reproduced by Classic TV Toys, but only the white haired version. The reproduciton is a softer material and is smaller than an original. The eyeshadow paint on the CTVT is also taller as the distance between the eyes and eyebrows is greater on the repro. The hair on the reproduction has problems laying down properly and is less full. It is unmarked.